Lesleigh Wiggs Monahan Esq. | Polidori Franklin Monahan & Beattie L.L.C. Lesleigh Monahan is a Partner with Polidori, Franklin, Monahan & Beattie, LLC. The firm exclusively focuses on the practice of Family Law. Ms. Monahan received her Juris Doctor degree from the University of Colorado School of Law in 1987. 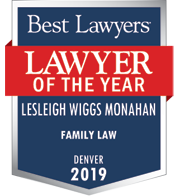 In three out of the last four years , (2016, 2018 and 2019), Ms. Monahan was the recipient of the “Lawyer of the Year” award for the Denver area for her work in Family Law by “Best Lawyers in America”. Only one attorney per practice area per metropolitan zone is granted this distinction. She has been listed in “The Best Lawyers in America” for sixteen years. 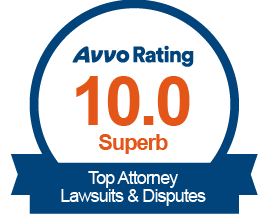 The Bar Register of Preeminent Lawyers has proffered an AV rating on Ms. Monahan for the last sixteen years. 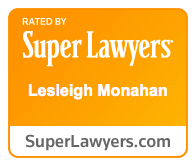 Ms. Monahan has repeatedly been recognized as one of Colorado’s top 50 Super Lawyers® & top 100 Super Lawyers® and as one of Colorado’s top 25 and top 50 women lawyers on the Colorado Super Lawyers® list. Since 2015, Ms. Monahan has been named by 5280 Magazine as one of Denver’s “Top Lawyers” in Family Law. She was admitted as a Fellow in the American Academy of Matrimonial Lawyers (“A.A.M.L.”) in 2004 and was President of the Colorado chapter in 2011/2012. Ms. Monahan was Chair of the Family Law Section of the Colorado Bar Association in 2002/2003 and was a long time officer on the Executive Council of the Section. Former Chief Justice Kourlis appointed Ms. Monahan to the Supreme Court Standing Committee on Family Law Issues in 2002, where she served for six consecutive years. She was appointed in 2007 as the Co-Chair of the Family Law Section Task Force on Family Courts. Ms. Monahan served as the Vice President of the Colorado Bar Association for the Second District in 2009-2010. Ms. Monahan served as Chair of the “Best Practices” Committee, which was formed by the Colorado Chapter of the A.A.M.L. to analyze and improve Uniform Case Management of Domestic Relations Cases in Colorado. Ms. Monahan enjoys skiing, golfing, fly fishing and hiking with her family and their Labrador Retriever. Her volunteer activities include mentoring University of Colorado School of Law students, and providing supportive relationships to peers in the Colorado Lawyer Assistance Program. December 2017 (Denver) A.A.M.L./CLE in Colorado, Inc.
December 2015 (Denver) A.A.M.L./CLE in Colorado, Inc.
December 2014 (Denver) A.A.M.L./CLE in Colorado, Inc.
April 2012 (Denver) CLE in Colorado, Inc.
December 2010 (Denver) A.A.M.L./CLE in Colorado, Inc.
December 2005 (Denver) A.A.M.L./CLE in Colorado Inc.
December 2004 (Denver) A.A.M.L./CLE in Colorado Inc.
April 2001 (Denver) CLE in Colorado Inc. Practice limited to Family Law since 1988. Divorce consultation and representation with an emphasis in complex property division and financial matters such as business valuation, professional practice valuation, family trust and inheritance, real property, and spousal support (maintenance/alimony).